It's not about size, weight or form factor. 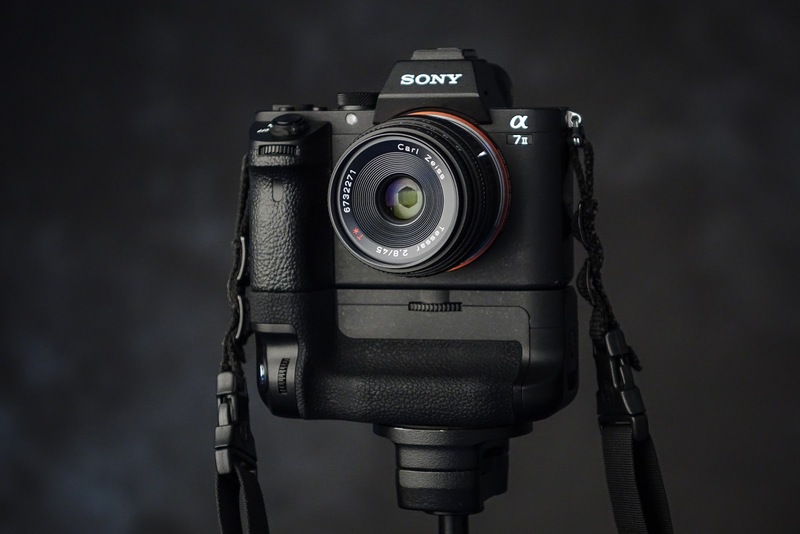 No, the reason to use mirrorless cameras is for the features, the video and the EVFs. Forget about the whole size distraction. My favorite "mirror-free" cameras are not grotesque little feather light waifs. I'm not choosing a camera because I am too wimpy to haul around a stout machine. No, I choose my cameras based on the performance and feature sets they offer. And, unless you are medically impaired, you should too. It's been really annoying for the past few days to read what the sallow forum dwellers have been writing about the Panasonic GH5. There is a contingent of supposed camera users who are eager to dismiss the GH5 out of hand because....."It's as big and heavy as a DSLR!!!!!" (Imagine added whining and posturing). As I understand it the value proposition of the GH5 has very little to do with trying to achieve a midget-sized camera and everything to do with just beating the crap out of the competition when it comes to the raison d'être for its existence. Video high performance coupled with photography core competence. So, in a day and age when Canon and Nikon can barely manage making 4K possible in their camera bodies (even the really expensive ones) the GH5 can shoot 4K at high bit rates, up to 60 fps. And it's been announced that the camera will be able to do 4K 10bit 4:2:2 when it's finalized. Plus, when you are shooting video the camera will still be able to auto focus like a bat out of hell. Red "Disney" eyes blazing. And all this without the 29.99 minute time limit or even a hint of overheating. Then, on the still side, there's 9 frames per second with full AF between each frame. And a super high res rear monitor. And, and, and. Even the battery life is in the same ballpark with the traditional DSLRs. 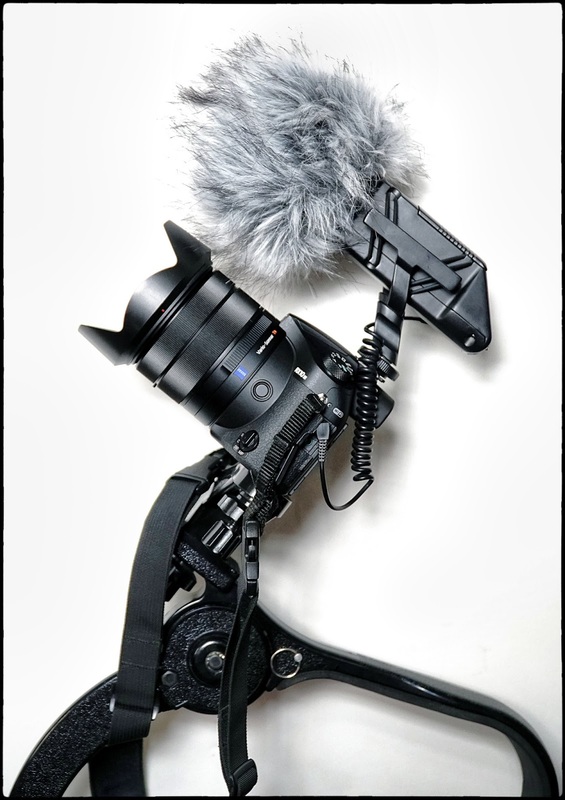 Yes, dear readers who have Nikons, Canons, Pentaxes and Mirandas, I get that you don't want to do video with your cameras and that you feel as though your cameras are still highly capable of making pretty pictures. I agree. There is no need for anyone who is happy with their status quo to rush out and make camera manufacturers wealthy. But many, many, many of the new features do help working people make better images, better movies, better corporate videos and so much more. I would understand a carpenter in 1982 having little use for a word processor but you have to understand how excited we copywriters were when we started using WordStar 1.0, mastering the necessary 2,035 keyboard commands and all. It meant that we could write and re-write, and correct our re-writes, with an efficiency and speed we had never experienced before. Without White-out and without carbon paper. The mirrorless deniers are basically saying, "What the hell is wrong with a Remington type writer? It worked for Ernest Hemmingway, it'll work for me!" But now look. No one I've met has used a typewriter to write a blog. Or typed a post A.D. 2000 report. Or a letter (do other people still write those?). People who have $2,000 to spend on a new camera shouldn't really make their buying decision on whether or not their two year old can pick the camera up and carry it around all day. It's not the cleverest part of their astute decision making process. They should look at the tool and sum up how well it does the things they need to get done and then add in the new features that might make their work more efficient (auto focus stacking anyone?). I owned and used the GH4 a year or two ago and it was a great camera. Judging by the things I've read about the GH5 it should deliver video performance that rivals dedicated $10,000 video cameras while also providing a very high level of still photography ummmph. I've found that when I have purchased a few mirrorless cameras they had one design flaw. 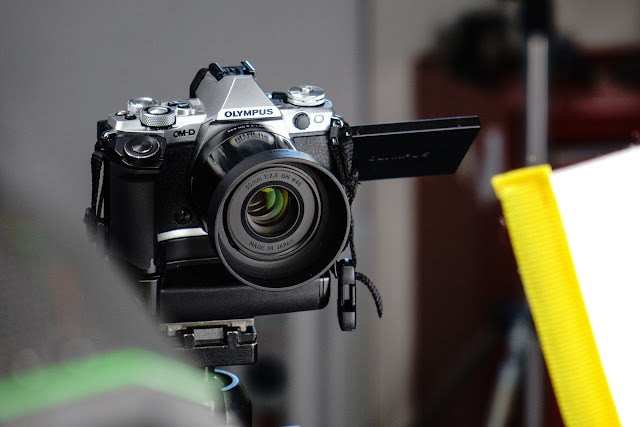 I'll use the Olympus EM5.2 as an example. It was fun to shoot and the images it takes are pretty darn great but it was just too damn small. So small that Olympus couldn't even fit a headphone jack onto the body. So small that even my small to medium sized hands spent most of their time with the camera looking for something to hold on to. My workaround was to go out and get battery grips for all EM-5 cameras in my possession. Only then was the camera nearly perfect for everyday use. I've railed before about people who want a camera that fits in the pocket of their pants. I don't understand their strange point of view. Why not just stick an iPhone 7 in the pocket and be done with it. But no, they are on a crusade to find an interchangeable lens camera that's truly pocketable. We call that insane. So look at my favorite "mirror-free" cameras. They are, for the most part, big and bulky, not frail and diminutive. The RX10iii is big. Really big. But it delivers so much. And it works so well. Then look at my Olympus EM5.2 in the photo just below. The battery grip brings back competitive amount of square inch space while upping the handhold ability quotient. 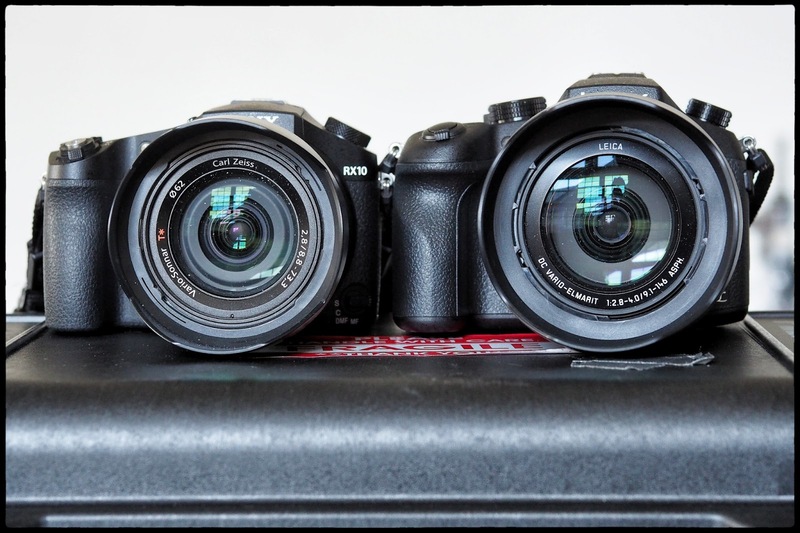 Above and below are two of my favorite full frame cameras; the A7Rii and the A7ii. Once I have them outfitted to match battery life and hand hold-ability of traditional cameras they certainly feel better but they bring with them all the real features that make a "mirror-free" professional lifestyle so enjoyable. 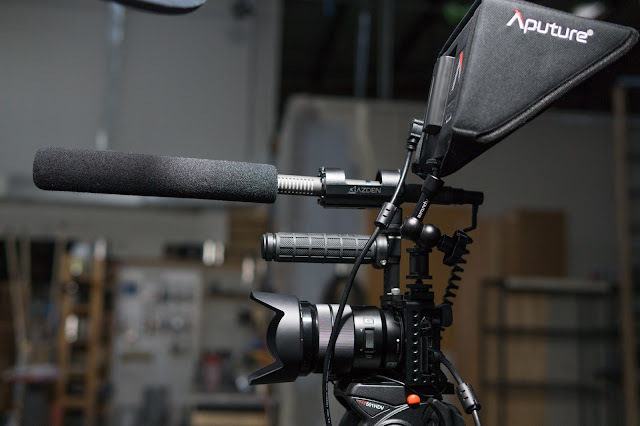 Those features would include, easy-peasy live view, the ability to use an incredibly large selection of lenses, instant entry into efficient movie modes (with tons of extras for movie making), pre-chimping via the EVFs and so much more. None of which is predicated on, or makes necessary, small size or lightweight. 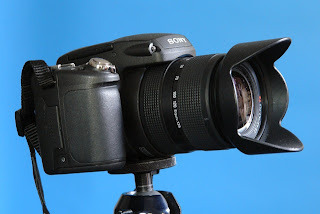 No, the reason most mirror-free cameras are smaller is the form following function thing. Fewer moving parts makes for better tolerances and greater reliability. The freedom of designing without having to consider a mirror box means that designers (if they were rational) could design their cameras to be optimized for ergonomics. It will just take time to figure out the right sizes now that the steam engine innards have been relegated to the past. I know it's different for everyone. One reason I don't really care about the size of cameras (having hauled old Hasselblads around on vacation) is the fact that in my working life we're hauling around lights, cases full of modifiers, lots of light stands, tripods, diffuser frames and all the other materials we need to make photographs that sell. If I had a Guggenheim grant and the requisite coolness factor I would love to roam around with just a single camera body and a lens. But that's rarely the case in my day to day work. Even the smallish a6300 blossoms with more and more stuff. And neither were the early mirror-free cameras shrinking violets either. My original Sony R1 was as big as most of my "professional" cameras and bigger than some. 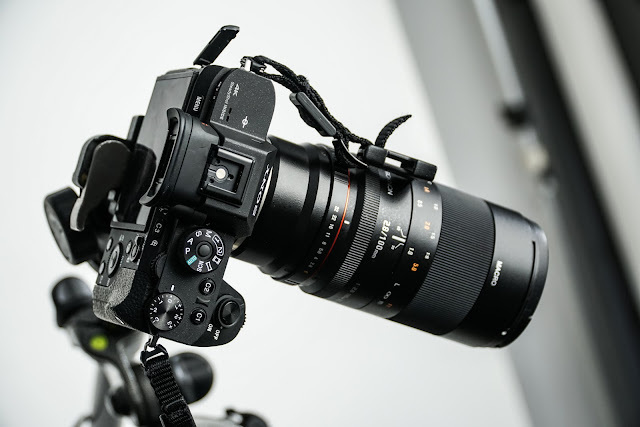 While it was early tech it showcased something that I've come to like about one of Sony's camera design philosophies: The idea of building a "no holds barred" lens as a permanently attached part of the camera system. It worked on the R1 and it seems to work well for many of their other Cybershot cameras. It's not the way to make cameras smaller. Just better. And I'm really OK with that. A quick story about videotaping the opening session of a regional (north American) sales meeting for a client. Just some nuts and bolts. 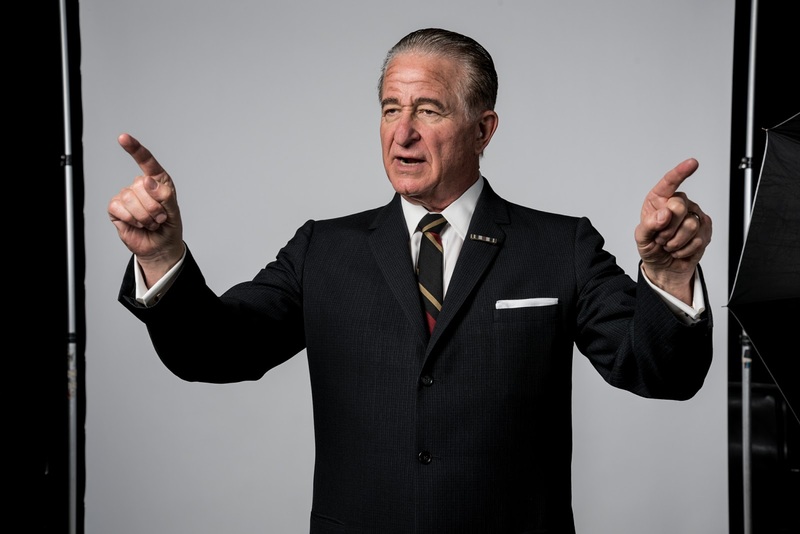 "LBJ" Played by Steve Vinovich at Zach Theatre. Coming soon. I've always been on the advertising side of photography, film and video. I've been involved in making TV commercials since 1985 and in making photographs for ads even longer. My one "cross over" into public relations and special events has been the photographic documentation of corporate events. Sales meetings in Maui, customer showcases in Madrid, Rome, Paris, Lisbon, etc. The corporate meetings have always been fun because I get to learn new information and at the same time practice my craft for hours and hours a day. I've recently been branching out and I've been delivering more video services. All kinds of video services. This morning I had the opportunity to videotape the opening session of a sales meeting for one of my clients. Usually, I roam the events with a still camera and try to catch interesting moments, but today I was standing behind a tripod on a riser, next to the A/V "command center," making a two hour and seven minute video documentation of the executives (and a motivational keynote speaker) on a black draped conference center stage. The challenges were there but it was a fun time trying to pit the things I've been learning over the last year against the chaotic nature of a series of live presentations. The event started for real today but it started in my mind the day last week that we booked the job. I started planning for how I would shoot and how I might handle worst case scenarios. My imagined scenarios ranged from complete camera failure (bring back ups) to the meltdown of the audio (have multiple sources) to the grim idea of an unlit stage with black drapes (solution? hang your head and cry, but make sure the audio is perfect....). Over the weekend I was able to get in touch with the A/V guy at the Westin Hotel where we would be providing our services. I drove out to meet with him yesterday and he had already put a set of risers exactly where I would have put them in the ballroom. He had an XLR cable running from the sound board he would be managing, right over to my camera. He'd thoughtfully provided a power strip, just in case I needed to plug in something. I was so happy I hugged the guy. My worst case scenario for audio went something like this: I'll be on a platform in the middle of the room, about a hundred feet from the sound board. I'll need to grab sound from the board with a portable audio recorder running into a wireless transmitter, then into a wireless receiver that is connected to the camera. Can't imagine what might go wrong in that scenario (sarcasm implied). But I knew it would be less wrong than trying to tape down 100 feet of coaxial cable running across a crowded conference ballroom. My back-ups, if the sound board/wireless idea went south, were, in order, grab the second set of wireless gear and get a microphone near one of the loudspeakers. My last choice was to put a shotgun microphone on the camera and pray. Luckily, Steven at the Westin was all over it and the audio was perfect from beginning to end. I knew which camera I wanted to use but even waffled there for a few moments. 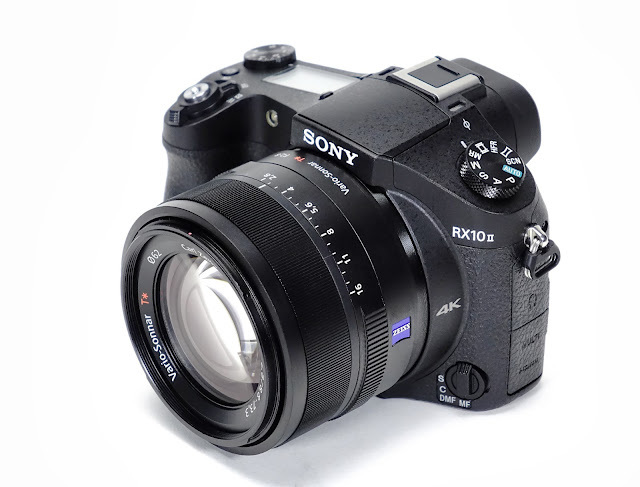 I thought the RX10iii would be a great choice but I worried about how well I'd be able to focus it. I also worried about the battery life and the 29.99 minute cap on run time. I briefly toyed with the idea of renting a "real" videocamera or, alternatively, using the a6300 with a the 70-200mm. I did few tests and decided to go for it and use the RX10iii; and I'm glad I did. Some tips I've learned from the video camera operators I worked with on shows like this in the past. 1. Get the venue to set up two riser stands that are about 24 inches high. These will ensure that you get over the heads of the audience in front of you. You'll want two, one right in front of the other. Your camera/tripod goes on the front one and you go on the back one, that way when you shift your weight the camera doesn't wiggle and exaggerate the motion via the 600mm focal length. 2. You'll want a feed (cable) from the sound board that the A/V people are using to mix in the sound from all the speakers' lav microphones, along with walk-in music, etc. I vote for a single channel of audio (mixed down) that comes to me as an XLR plug. It's a line level output so you can't take it straight into a consumer camera like the Sony RX10iii directly; the signal is too strong! You'll want something like my little Beachtek D2A which has a line/mic switch for each channel which puts a "pad" in between the line signal and the camera. I set the Beachtek to give me two mono signals instead of stereo on the off chance that I'll want to run a safety microphone in the vacant channel. (Yes, it was part of my strategy...). The Zoom H5 also allows you to pad a line input and will also give me two totally separate channels. A lifesaver on the D2A is a little switch labeled "G1" and "G2." This switches the ground phase and comes in super handy as it did today. When I hooked up all my stuff there was a nasty hum in my headphones. One flick of that switch killed it. 3. Figure out what the dominant light source for the stage is well before the start of the program and set that instead of relying on AWB. Today we worked with tungsten/halogen spots and the "lightbulb" setting was right on the money. 5. Use manual focusing. With a detailed, seven inch, external monitor you'll be able to punch in and check focus from time to time to make sure what you see is really what you see. 6. Set up focus peaking on your monitor but also double check focus by punching in. Just to make sure. 8. Forget about trying to capture the Power Point stuff on the screens adjacent to the main stage. You can get a copy of the slide deck and output them as Jpegs then add them into the program as B-Roll. 9. Listen carefully for any electrical hum in your sound mix. It's probably coming from a power cable crossing a microphone cable. That can be fixed but only if you do it before you get rolling. 10. I find that if I'm paying too much attention to the subject matter of the speaker's presentation I lose track of my duties as a video documenter. I mostly ignore what the speakers are saying and pay attention to keeping my ever pacing presenters near the center mark on the monitor screen. Today's set up: I had the camera (RX10iii) mounted in a cage with the monitor mounted up and to my left (top of the frame). I had the Beachtek D2A mounted on the other side, also at the top of the cage (my right). The monitor is somewhat battery hungry (and the older Sony NFP-550s I have for it are aging quickly --- they were left overs) so I used an A/C adapter and ran the monitor from that. Since my RX10iii has a headphone jack I plugged in my headphones directly into the camera. The output from the D2A went into the microphone input of the camera. The left channel was the signal from the sound board while the right channel was the output from a shotgun microphone sitting in a cold shoe next to the Beachtek. The 29.99 minute limit on continuous recording was much less of an issue than I assumed it might be. At any time during a recording cycle you can hit the red record button to stop recording and then immediately hit it again to start a fresh 29.99 minutes. I got into the rhythm of starting a clip and then looking at my watch. When I hit the 25 minute mark I would start looking for an organic gap. Something like applause at the end of a presentation or the arrival of a new speaker. The gaps in between clips never fell on a live spot in the program. The camera ran for two hours and eight minutes (from the walk-in to the walk-out) and never missed a beat. No overheating, etc. I got about one hour and 50 minutes of runtime from one camera battery but I was too nervous to let it go down the last 4%. Since the camera was mounted on a cage and the show was rolling I just grabbed a small USB charger battery and stuck the cable into the camera's USB port to provide enough power to get me the rest of the way through the program. I never worried about the memory card. I was using a Transcend SDXC U3 card with 128 GB of space on it which would have given me a bit more than five hours of record time shooting XAVCs 1080p. The show wrapped and I packed everything up and headed out the door to the car. Our raw video came in at about 49 GB but after rendering it and outputting it in the client requested MP4 format the final size on a memory stick is just shy of 20 GBs. This was fun for me. On Weds. we'll be back at the Westin in the afternoon to catch the closing speakers for the meeting. At the very end of the program they will be playing a three minute interview of a client of the company, which Ben and I filmed and edited last week. Should be fun to shoot the event video at which one of my own videos is being shown. I like bouncing back and forth from video to stills. Still photography work is something I'm pretty confident about but video has so many moving parts it's still a fun challenge for me to get just right. And what is life without a challenge?